Mmmm, tasty. Purchased some yummy film yesterday both for my Yashica Mat-124G & one of my higher end 35mm cameras. 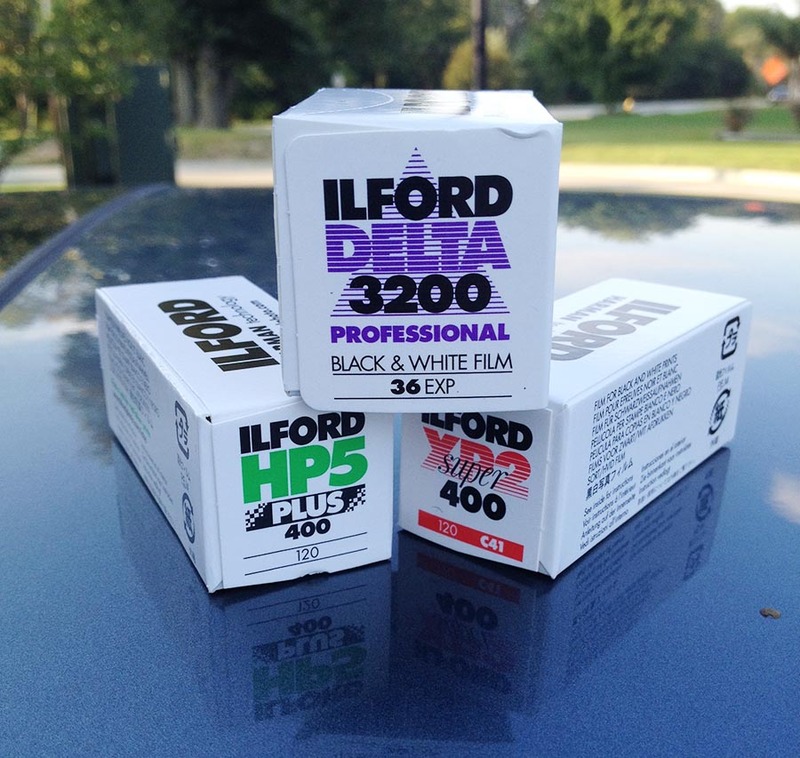 I normally shoot Ilford XP2 400 in my medium format cameras, but this time I'm going to try a roll of Ilford HP5. Nice. I also purchased a 35mm roll of Delta 3200 ASA. This is the highest ASA film I've EVER purchased. I'm looking forward to try this out with an lower light street photography shoot. Not sure which camera I'll use it in yet. I'll let you know.